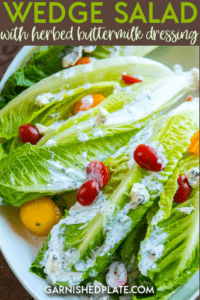 This Wedge Salad with Herbed Buttermilk Dressing is a quick and fresh side dish that also makes a delicious lunch! 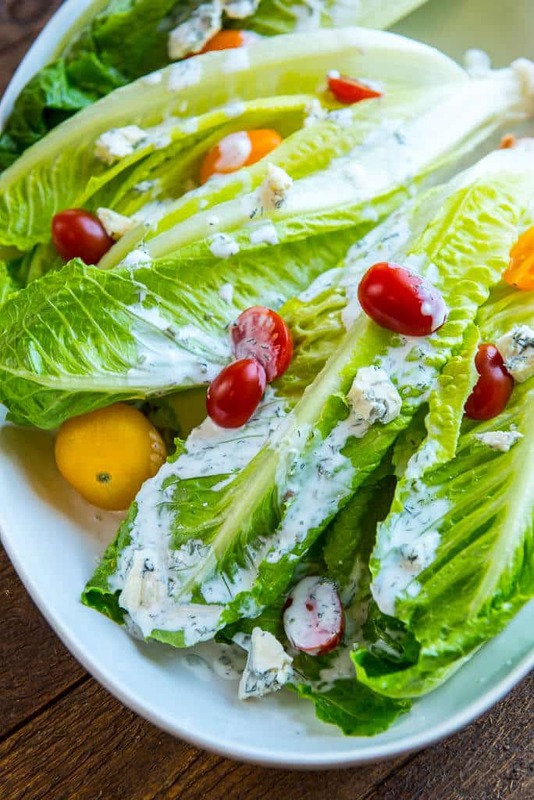 Ever since our recent trip to Washington DC where I ended up giving into my aversion to the whole “wedge salad” craze and trying one at a restaurant we visited a couple of times, well, I’ve been slightly obsessed. Now I’ve order them a few more times at restaurants around home and I finally get what all of the hype is about. That fresh crunch of the salad, all of those little pockets for the dressing to hide it, these things are so darn good! That’s why I finally made my own version at home. 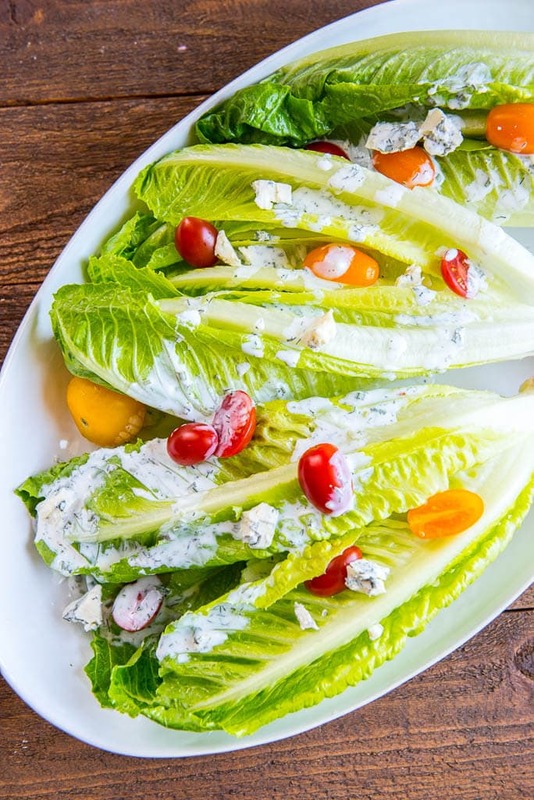 This Wedge Salad with Herbed Buttermilk Dressing is super simple and totally fresh. Perfect as a side dish to almost any meal or even as a refreshing lunch! For some reason, I’m always drawn to those little packages of tomatoes with all of the pretty colors in them. At least now I found the perfect way to use them. 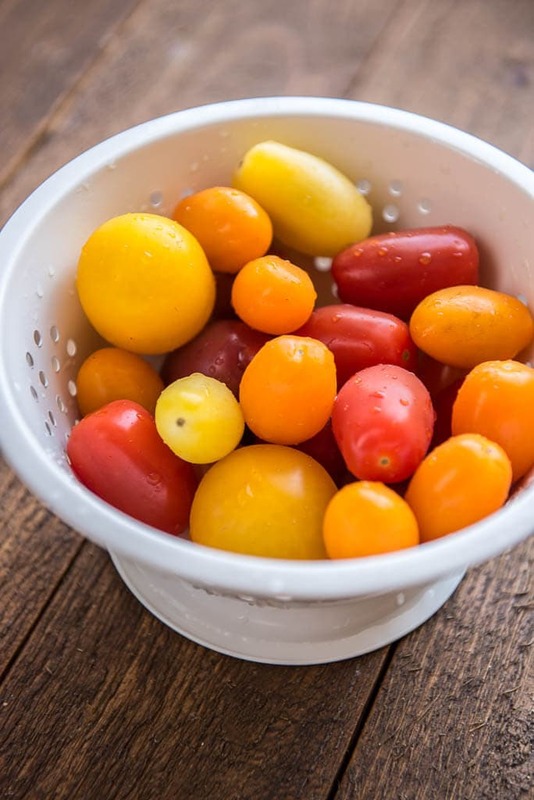 If, like me, you have a kid who refused to eat anything red, just throw some yellow tomatoes on there and see if they’ll give them a try! And it my opinion, every good salad needs a good stinky cheese! 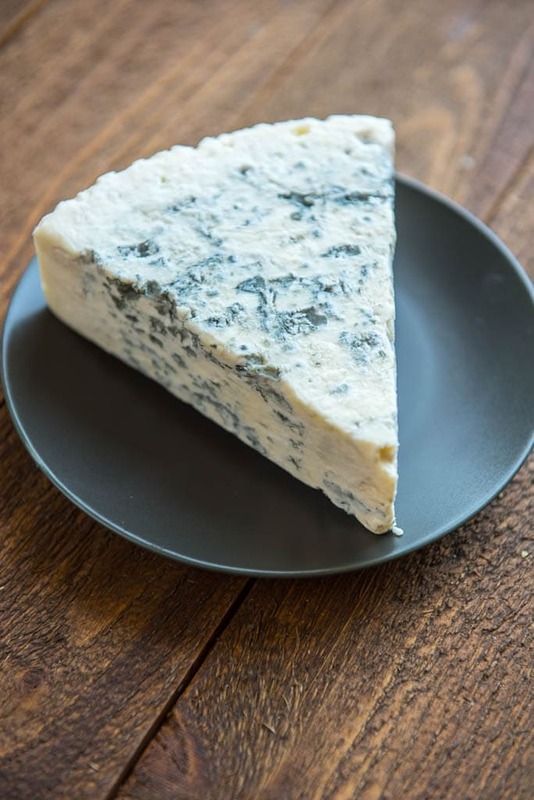 I love a few crumbles of gorgonzola on almost any salad because it gives you a big punch of flavor with just a tiny bit. No need to pile on as much dressing when you’ve already got so much flavor. 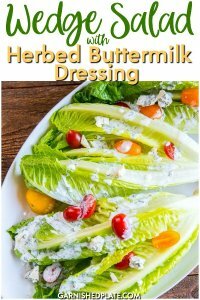 Speaking of the dressing, you can use fresh herbs if you like, but I think dried work well too. Makes it really quick when you don’t have anything to slice or dice and yet you still get that herby flavor. But, I’ll leave that one totally up to you. Just remember, if you use fresh you’ll probably want to use more than what the recipe call for as I’m listing it for dried. Fresh herbs can be substituted for dried if desired. 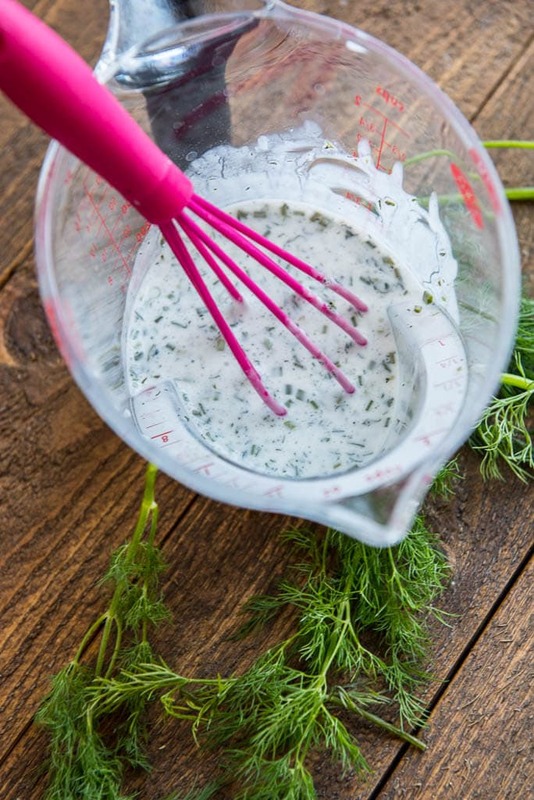 You will likely need to double the measurements, but use your judgement to create a dressing to your taste. Looking for more of a main dish salad? 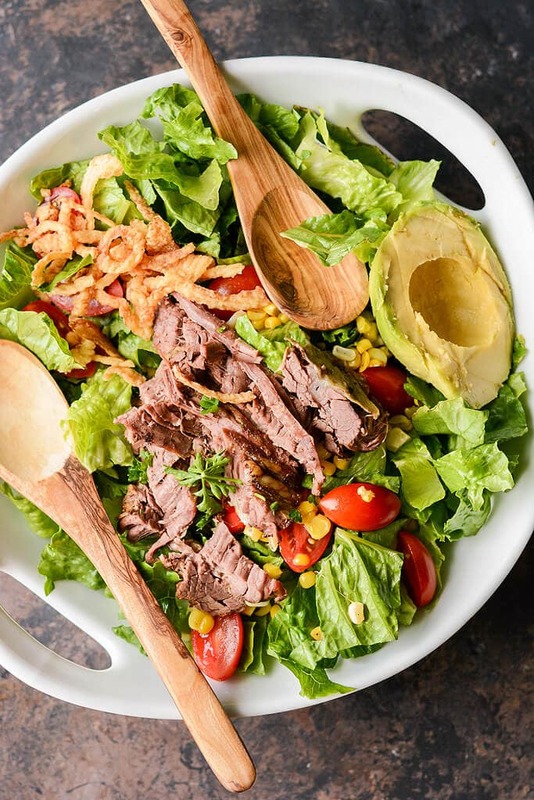 How about this Slow Cooker Steak Salad for a hearty meal?